TORONTO — Dell EMC executives aren’t sounding any alarm bells after new research sponsored by Dell Technologies suggests only 6 per cent of Canadian businesses are digital leaders. The Digital Transformation Index, a research study conducted by Vanson Bourne this summer, says Canadian companies overall are moving in the right direction, but with little haste and a bevy of challenges clogging the way. While only 100 out of the 4,600 c-suite business leaders surveyed were from Canada, Kevin Conolly, president of commercial sales for Dell EMC Canada, pointed to the fact that the 6 per cent figure is actually a 3 per cent increase from 2016, and that the middle of the pack – digital followers, evaluators and adopters, which according to the latest DTI, make up 34, 22 and 29 per cent of the index, respectively – has grown significantly since then as well. “It is a factual statement that more meetings are taking place now compared to two years that are about digital transformation,” Connolly told reporters at the Dell EMC Partner Summit this week, indicating the adopters figure was only at 12 per cent in 2016. Mike Sharun, president of enterprise sales for Dell EMC Canada, agreed about the slow, but positive, momentum. He described digital transformation as an initiative to improve business processes and outcomes through innovative solutions that are ingrained across a business. It’s clear, he said, which businesses are doing it right, and which ones aren’t. Unfortunately, for 43 per cent of Canadian companies, it is an afterthought. The latest DTI says these companies are “behind the digital business curve,” meaning they belong in either the Digital Laggards or Digital Followers categories, the least digital mature groups on the DTI benchmark. But there’s a silver lining, according to Joyce Mullen, who told business partners at the summit Monday that there was “an enormous opportunity for everyone in this room” to help companies struggling to stay afloat adopt innovative solutions. 86 per cent are facing major impediments to transformation, such as budgets and other resources. The DTI was thin on details around how Canadian businesses compare to the rest of the world. Sharun said global figures hadn’t been released yet, but that they would be soon. As of this story being published, other countries’ DTI hadn’t been released. The report was also absent of other details such as what exactly successful digital leaders are doing to remain ahead of the curve, but in broad strokes, it does hint at businesses’ renewed focus around becoming agile (28 per cent of Canadian respondents said they’ve embraced agile development) and embedding security and privacy into all devices (50 per cent). The mega merger between Dell and EMC, combined with the integration of other businesses such as RSA, Pivotal and Secureworks, represents their own digital transformation journey, said Connolly, and while it’s on a massive scale that smaller businesses without a lot of resources won’t necessarily relate to, it does drive home the message that change has to come from within, not simply from the top-down. “We completely changed our own IT organization and how we spent money. We became 100 per cent virtualized back when it wasn’t that popular. We ate our own dog food,” he said. Audience members at this year’s Dell EMC partner summit. Photo courtesy Dell EMC. Chad Sakac may have gotten the movie reference wrong, but his excitement was palpable as he described the U.S. Air Force’s Kessel Run program to an audience at the Dell Technologies Forum. While the crowd responded with a disapproving murmur after the senior vice-president of strategic alliances for Pivotal wrongly tied the Kessel Run reference to Star Trek – it’s Star Wars, in case you’re wondering – people appeared genuinely interested in the Air Force’s partnership with Pivotal and the pilot program that emerged from within one of the U.S. military’s defense branches. “That team has started to become a crucible of innovation with the Air Force,” explained Sakac. The Kessel Run program came into existence shortly after a member of the Air Force decided to automate the planning behind refueling operations, something that used to be done by hand on a whiteboard, according to the Air Force’s website. Pivotal came into picture mid 2017 to guide the bright minds within the Air Force and overhaul software across the organization, saving millions of taxpayers dollars. Kessel Run remains a large scale Pivotal customer, but no longer needs Pivotal’s training wheels to continue scaling. Additionally, back in May, the small innovation hub opened a separate space for its research called the Kessel Run Experimentation Lab in Boston. Sakac went on to say these types of innovation hubs are emerging more frequently. 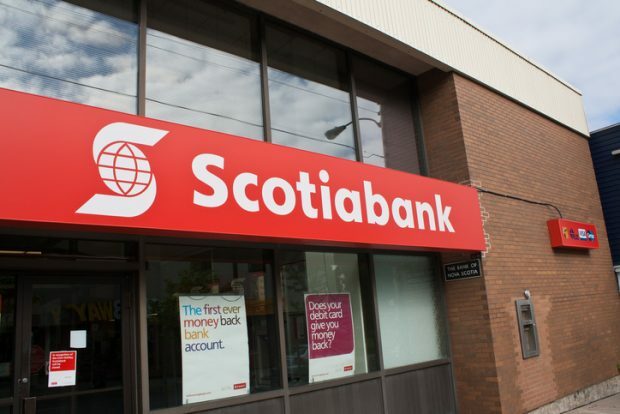 Scotiabank’s internal development group, the Platform Organisation also known as Pato, is another example. Plato adds custom software on top of services from Microsoft, Google, and Pivotal, and resells those as products to the rest of the bank. Sakac acknowledged the fact that job displacement due to innovation is inevitable – studies such as this one indicate occupations that comprise mostly of routine tasks are at a higher risk of decline, and the sectors most at risk are warehousing, customer service and retail – but he was quick to say automation will ultimately open the door to more opportunities for job growth than ever before. Sakac also emphasized the core pillars behind successful digital transformation. These pillars include AI and machine learning, IoT, multi-cloud models and software-defined everything. AR and VR, he added, are also going to be critical.